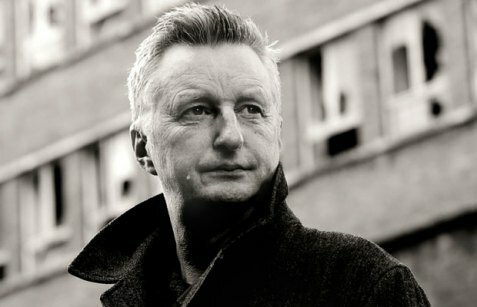 Billy Bragg — on tour in Australia from 19 October 2012. Photo credit and copyright: Anthony Saint James. On a mild Canberra evening, I interviewed Billy Bragg down the line from the UK. While I hammered the text out fairly quickly and it appeared in Timber and Steel a week or so later, and in Trad and Now not long after that, I dragged my heels a little to get the audio edited down. Luckily, my new multi-channel recording device comes with a handy bit of sound-editing software, and while I’m hardly a master of it, it’s done. Even if Soundcloud is taking forever to load the audio file. Full details of where Billy’s playing are in the Timber and Steel article — see above for link. I’ve been a little tardy on my interview transcriptions lately and have a few stacked and racked. All paid work is up to date; it’s the pro bono stuff I’m dragging my heels on a tad. To business. 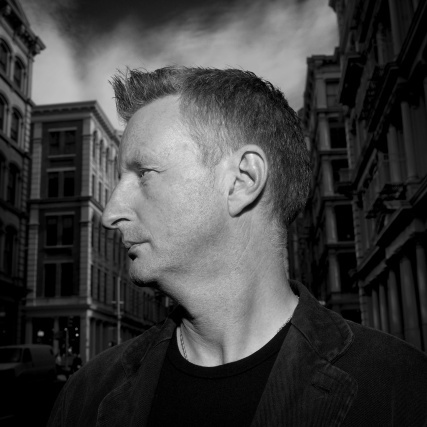 The text of my Billy Bragg interview is at Timber and Steel blog. Thank you SO much to the truly wonderful Gareth Huw Evans of Timber and Steel — he’s a credit to Australian music and to effective business and being a good bloke. Similarly, Heidi Braithwaite from Riot House Publicity has been a model of timely responses and good-humoured help. To go back a ways regarding interviews: in 2008, I spoke in halting, nervous tones down the line with Jim Paterson of The Borderers on my very first solo radio show on Artsound FM, while I tried very hard to work out which buttons to press and which faders to slide. 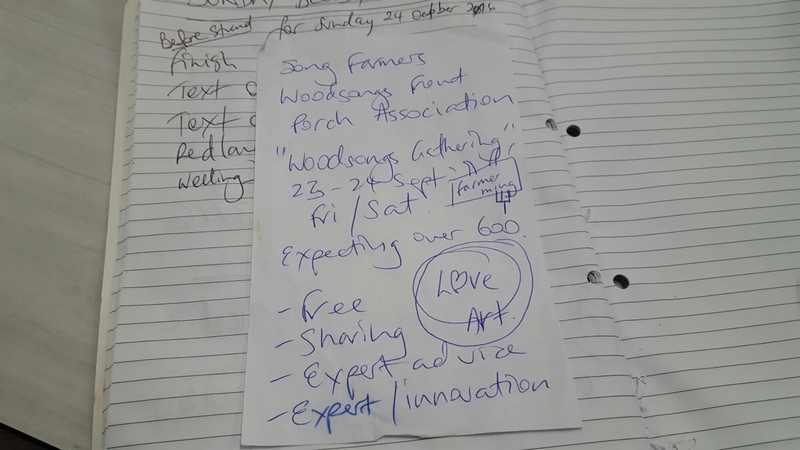 Jim didn’t realise it at the time, but his simple query in an email created something of a monster (in every sense of the word), and my four years with Artsound were typified by studios over-flowing with guests, musos, family, friends, PR people, mums and dads, and some golden live moments. I think pets is the only….. no, we had some of those too, including my melon collie in later years. I look forward to many more interviews and live moments elsewhere in the cosmos. I recorded one at this very dining table about 8.5 hours ago and that will be coming to you soon. Then Harry Manx, and then probably you. Transcribing the BB interview took the better part of a working day, albeit with lots and lots and too much of online-y distractions along the way. I’m an un-ashamed Billy Bragg fan, and he’s my favourite performer of any genre in the world. As much for his soul and his passion and his politics and his unrelenting drive as for his art. If you could bottle the resonances, you’d outsell coke. And coal. And natural gas. I hesitated like you can’t know before going down the route of making that personal connection with him about my brother during the interview, but I was ultimately so glad I did. Like a song I partially inspired, written by my good friends Craig and Simone Dawson, I have a little personal dare with myself where I take a deep breath, count 1, 2, 3 and dive in. I was sat there in the studios of 2XX, having effectively paid/donated a tick under $500 of my own money to a crowd-sourcing project for the privilege. That was a thing of pure socialism. At the time I had roughly five grand in the bank and thought, some of this cash could do more that just gather dust. Which is when I spontaneously donated at the fund-raising finale. If I had known then that less than seven days later I would fall even further down the rabbit hole for two weeks, I might not have been as effusive and altruistic! one eye on my watch as we were going to be cut off at 20 minutes and I hadn’t been able to add nineteen to whatever time we’d started — there was too much going on. And out of all that I had nothing but faith (because I do keep faith) in my ability to somehow make it all happen in an interview that in many ways had been two years or more in the making. And when I hung up from the interview and had let out a gurgling scream of something to the universe, in the next heartbeat I was on the phone to my brother Greg’s widow to do a quick de-brief. I’d told a few choice and a few badly chosen people what was going on, but ultimately it was Ainslea’s secret. Anyone who saw me later that night at the Canberra Musicians Club Old Timey gig might have mistaken me for a ten year old boy who’d just gotten the cream, to mix a human-feline metaphor. Sadly, and this has been a pattern, some elements in the music world and the yarts have again inferred some sort of ego-stroke or self-aggrandisement for Billy Quinn out of all of this. 1. It’s not me, it’s you. No, really, this time, it’s you.